This 24" x 36" table of old cypress was created using lumber from an old farm house near Kaplan, Louisiana. 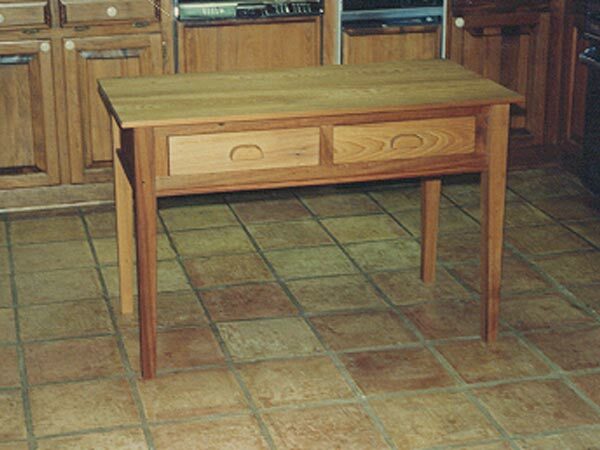 This design is a genuine reproduction of a Louisiana Creole style table. Works well as a utility table, a writing desk, or can be used in your kitchen as a chopping block. Either way, it will be a conversation piece for your guests. Available in custom sizes with or without drawers.